Yesterday was super duper rough. I’m not saying I haven’t had other terrible days, and I’m not even saying that this was anywhere near the worst day I’ve ever had (or even have had this semester of nursing school! ), however I feel the need to vent about yesterday, so I shall. The day started off with a three-hour last-minute study session with my partner in crime before our second Adult 2 test. And I walked out of that test feeling like I’d been pummeled by a professional boxer who had a vendetta against me. While I was definitely hoping for a B, I wanted at least a mid-to-high B that way my average (the 76% I had from the first test) could have been brought up some. Well, I made an 82%. Better, for sure, but still not a decent grade compared to the effort that I put into this test and the confidence that I had walking in. And still not enough to pull my grade out of the “C” range. I shouldn’t be disappointed, especially when I’m not failing and I’m barely on the line between a C and a B and can easily pull myself up with the next three tests (3rd exam, HESI, and final). However, I just don’t understand how a course that I love the material SO MUCH can be the one that I’m doing the worst in. I’m not exaggerating when I say that I seriously have never taken a test that hard before. And I almost stayed until the last possible minute finishing up, when I’m usually out with PLENTY of time to spare! So that was a bummer. But an even bigger bummer and one that really puts my issues in perspective (the perspective that I don’t have it that bad at all) is the fact that one of my closest nursing school buddies is currently failing Adult 2. Both of her tests now have been below the passing grade of a 72% which means that if she definitely doesn’t pull her grade up then she’ll have to re-take the class and she’ll no longer be graduating with us. That’s such a hard concept to think about because we have been friends since day one and there was never a thought in our mind that we wouldn’t be graduating together. And there’s no reason (that we see) that she’s not getting better grades – she’s always done well in classes and she DEFINITELY knows the material. So the fact that she’s failing is just mind boggling, for both of us. 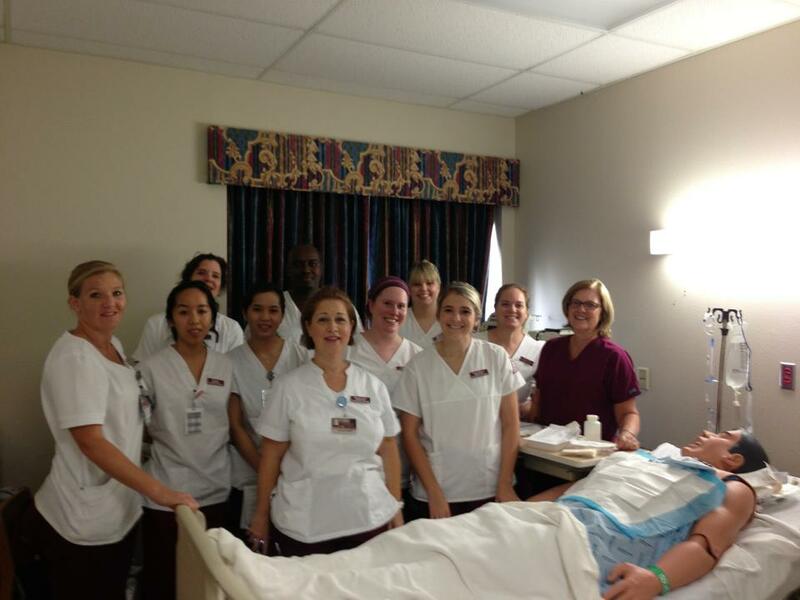 I swear this class is so so so much harder than any we’ve ever taken before, even in nursing school. We’ve decided that we’re going to get together the weekend before the tests now and go over TONS of practice questions. We have to do better! Then to top everything off, our mental health lecture yesterday covered addictions – alcoholism in particular. And because of my family issues with alcoholism, it was a tough lecture to stomach and I actually had to leave at some point because I felt like if I didn’t then I’d just start bawling right there in class and make a fool of myself. This was the lecture that I’d been dreading all semester, and it certainly came at the wrong time. I eventually went back into the classroom but I have to admit that I’m not sure I really heard much of the lecture at all. As soon as we were released I realized that all I wanted to do was go home and curl up in bed, wishing the day away and in fact this entire semester. How much longer until I’m done, again? Will I ever be done?? I think that sums up what this semester is going to be like for me. Although after surviving week one I’d have to say that I am truly VERY excited about what I’m going to get to learn and do this semester; I just hope I can make it to the end of these 16 weeks and PASS. The week began rough. We had a child health lecture first and it covered how to communicate with children and then a lecture on the basic assessment of children. I say it began rough because first of all…I’m pretty sure that I don’t want to be a pediatric nurse, so the information in child health just doesn’t GRIP me the way that adult health does. Second, I felt very “lost” in the lecture on how to communicate with children – almost as though the lecture had begun three weeks ago and I was just now getting into it. We discussed Erickson and Piaget, which I do remember from taking developmental psychology in pre-reqs, but hadn’t refreshed since then. Well this lecture literally had us “hit the ground running.” We were expected to know the different stages of development through Erickson and Piaget and we were expected to interact with that lecture by answering questions according to those developmental theories. Surprisingly I did remember quite a bit from my class two years ago…but I still felt like I’d just stumbled into this class after it’d been in progress for awhile. Not a comforting feeling when it’s your very first lecture of your senior year. So that was Monday…and on Tuesday we had our first adult 2 lecture and mental health lecture. Adult began with a subject I love: the heart. However, we were given so much information in that lecture that I felt like we’d been given two weeks of information in only 3 hours. I’m wondering how I’m going to study for all that information and remember it all! And this information was just so different from previous material in Adult 1; it was more INTENSE and dealt with high-acuity diseases of the heart rather than the normal CHF, such as endocarditis, cardiomyopathy, pericarditis, cardiac tamponade, heart transplants, valve stenosis & regurgitation, valve replacements, and aortic aneurysms & dissections (yes, ALL of that in only 3 hours!). I wasn’t sure what to expect in our mental health lecture but I’d like to say that I was pleasantly surprised. 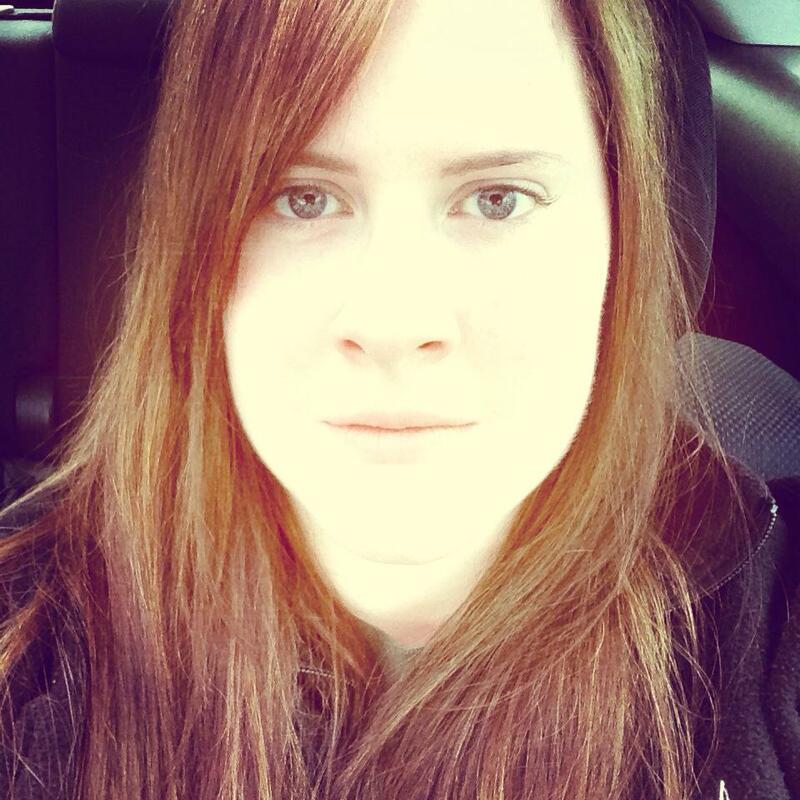 I’ve been dreading mental health since the first day of J1, however after just the one lecture on Tuesday and the follow-up lecture on Friday, I’m already convinced of how IMPORTANT it is for nursing students to take a mental health course and for nurses to understand mental health in EVERY aspect of nursing practice. And here’s why: no matter what kind of nurse you are, you will always need the skills of being able to communicate therapeutically with your patients and their family members. Our lecture on Tuesday was a basic introductory lecture: why mental health is important, the different theories of psychology and why we study them, and an introduction to managed mental health care. On Friday (our mental health orientation, as it was called), we watched a video on mental health nurses – what they do and why it’s so important to them. That video made me cry for sure. Then we discussed the “therapeutic nurse-patient relationship”, the differences between sympathy and empathy, and how to recognize anxiety in ourselves and what to do about it. So my first impressions from the lecture portions of this week: I think child health will be important but not really interesting for me (we’ll see how that changes once we start clinical). Adult health will be AWESOME but possibly quite overwhelming. And mental health will be something that I’ll look forward to every week (how unexpected!). And why the breakdowns this week? 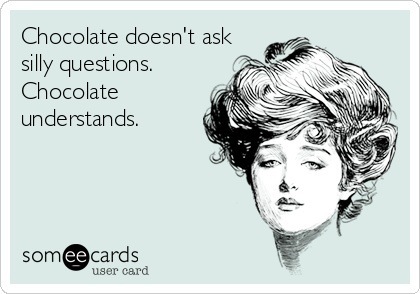 I’m still not even quite sure. I think I’m just super stressed right now and every little thing makes me want to cry. 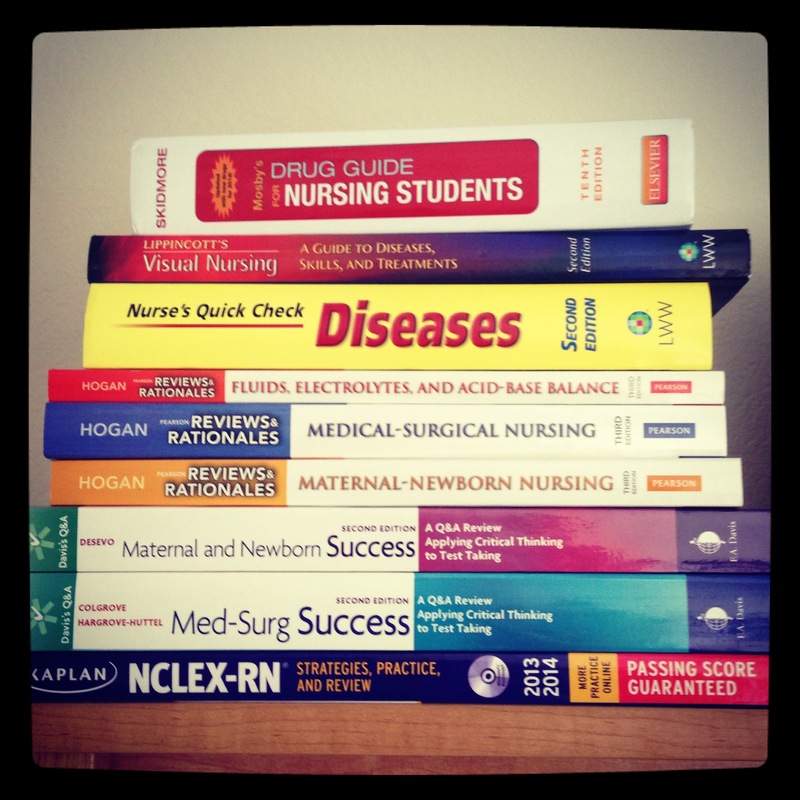 There is a point at which, as a nursing student, you may be trying to do to much, and I think I might be there. But then again maybe I’m just trying to adjust to the different intensity of this semester and I’ll be fine once I get my feet on solid ground and can run with the rest of them. 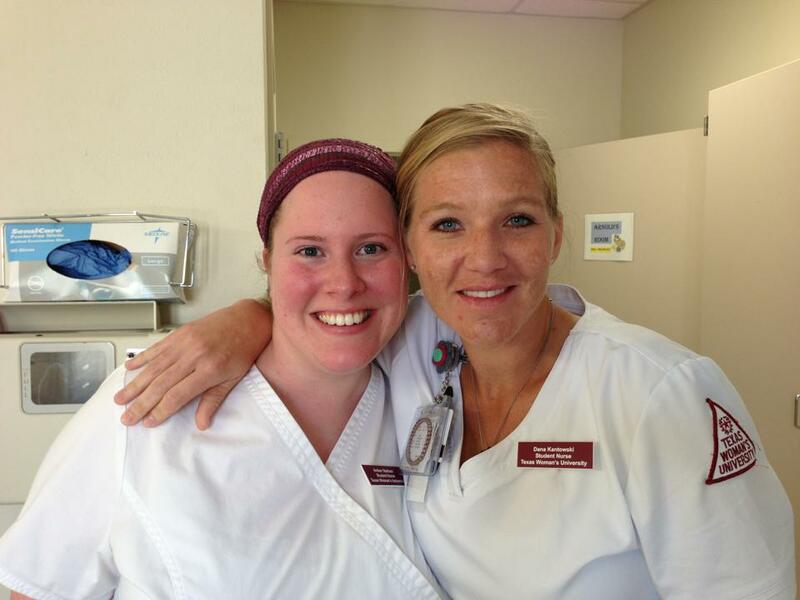 Before I started nursing school, I didn’t think there was any way I could ever NOT want to be in nursing school. I was just so ready to be IN nursing school that I didn’t acknowledge that the reality would someday mean that I was sick and tired and ready to be done. 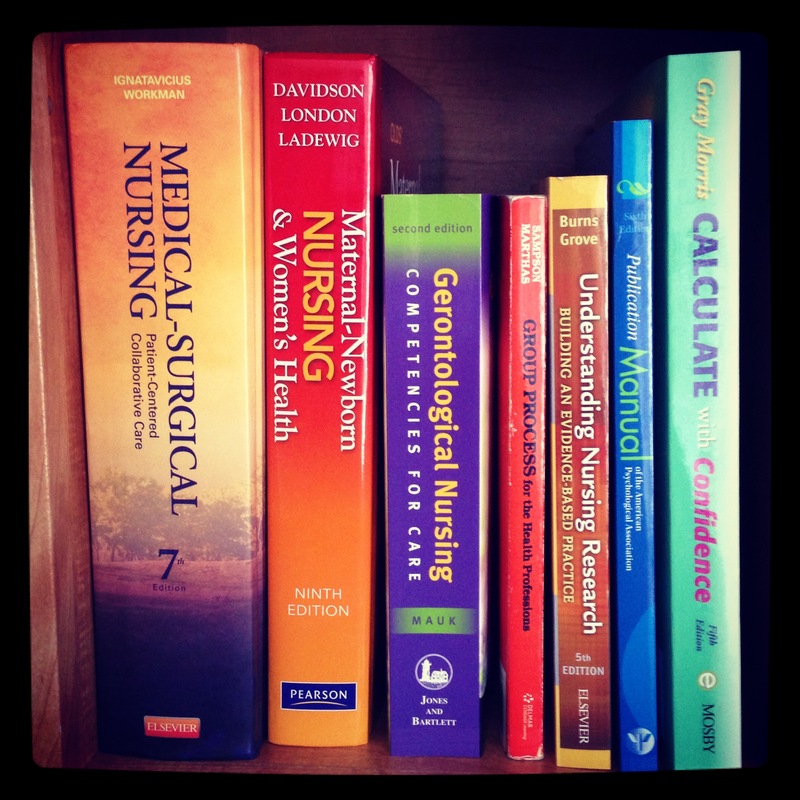 Don’t get me wrong; I really enjoy learning and increasing my nursing knowledge. I also realize that the learning is going to happen for the rest of my life. However, nursing school is exhausting. Taking 16 credit hours of intense nursing courses in one semester is exhausting. Knowing that I still have this semester and then two more after that is exhausting. Knowing that this semester is supposed to be the easiest semester is exhausting. I can’t help anymore but to constantly look forward to that day when I graduate and all my hard work will have paid off in the form of a beautiful piece of paper. I can’t wait until I can take the boards and become a registered nurse. I can’t wait until I am actually putting all of this nursing school theory into actual practice with my very own patients. Until then…I leave you with pictures of my week. This week two clinical groups came together at Denton Presbyterian for our skills check-offs and our hospital orientation. 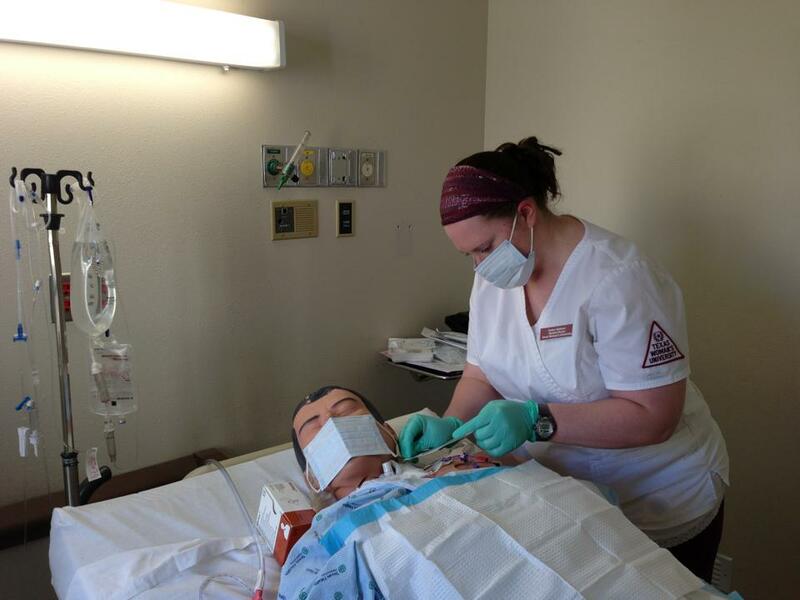 Skills that we were checked-off on: NG tube insertion and care; tracheostomy care, central line dressing change, nasopharyngeal and trach suctioning, ostomies. Partners in crime, part 1. Partners in crime, part 2. Applying tegaderm during my central line dressing change. 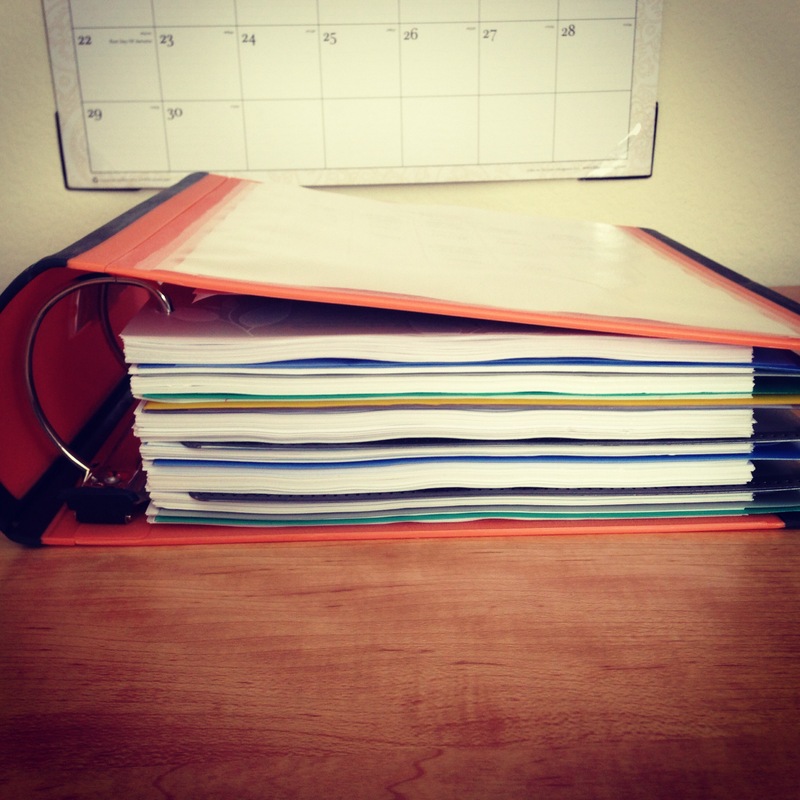 After only 3 weeks of school, my 3″ binder is almost completely full. This is how you know a test is coming up! Lol. This is what I did at work during some down time in the night. Study! Ok, so I didn’t get around to writing this post on Friday night. That’s because I decided to sleep Friday night, stay up all day Saturday, and then go into work Saturday night without having slept beforehand. Not sure that was a good choice…this morning I came home, slept from about 0900-1200, and then got up and tried to get some reading/assignments done, but ended up falling back asleep on the hubby’s lap while we watched Avengers. And I have yet to get anything school-related done; but maybe that’s ok. Maybe I was meant to just de-stress from the past week today. 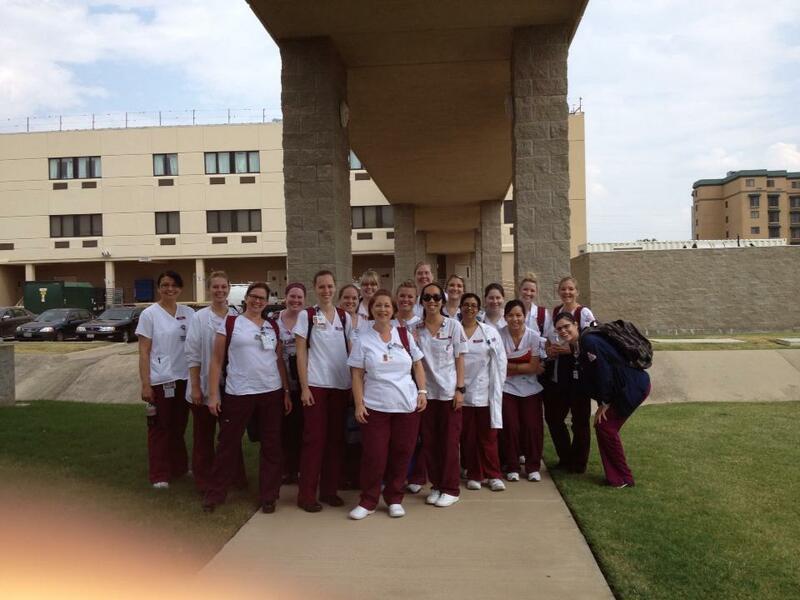 First week of the second semester of nursing school = done! Maybe it wasn’t completed super successfully but it’s behind me now and I’m in the throes of trying to get caught up and organized for the rest of the 15 weeks ahead of me. I’m feeling a bit freaked about this semester already and I think it’s because I just don’t feel like I got off on the right foot. First of all, I wasn’t able to complete any of the required reading before Monday, and I’ve heard that it’s a GOOD idea to read for my OB and especially Adult 1 classes – usually nursing students can get away with either not reading or just skimming the chapters. And my first Adult 1 test is now in 2 weeks, and I’m so behind on the reading (as in, I should have had several chapters read by now) that is stressing me out and giving me headaches. Seriously. Secondly, there are so many assignments due within the first few weeks that I don’t even know where to begin on them. I sit here and think about what needs to be done and then I end up so overwhelmed that all I want to do is sleep. Eek! So I really need to just take it all with baby steps so at least I’m accomplishing SOMETHING and not just sitting on the couch like a zombie… (which I pretty much did once getting home from class every single day this week. Another reason I’m feeling like I got off on the wrong foot). Third, I knew that I had to work last night, which meant a little less time this weekend to study and complete assignments, but I knew I could work around that since I had today (after a nap) and Monday free to be able to get some stuff done. Well I looked at my schedule on Thursday and realized quite belatedly that I also have to work tomorrow (Monday). So now I’m freaking out because I’m just wondering how I’m going to be able to get it all done. I want to be a great student this semester, I really do…but I’ve never worked AND gone to school at the same time before and I know it’ll be quite an adjustment until I get used to it. So hopefully I don’t screw myself in the process. Especially since I was SUPPOSED to get some stuff done today and I’ll I’ve managed to do is sit around and chill. P.S. : I almost got to start an IV at work yesterday on one of my co-workers. She totally would’ve let me do it, except we got swamped and ran out of time. 😦 Maybe next time I work with her. Wow! It’s been awhile since I’ve written…a month has gone by and a lot has happened in that period of time! First of all let me just start this by saying: does my J2 semester REALLY start in just two short weeks?!?! My job as a tech is going very well. I’m feeling VERY comfortable in my job now and am so thankful for the opportunities that I have with my job for patient and nurse interaction. 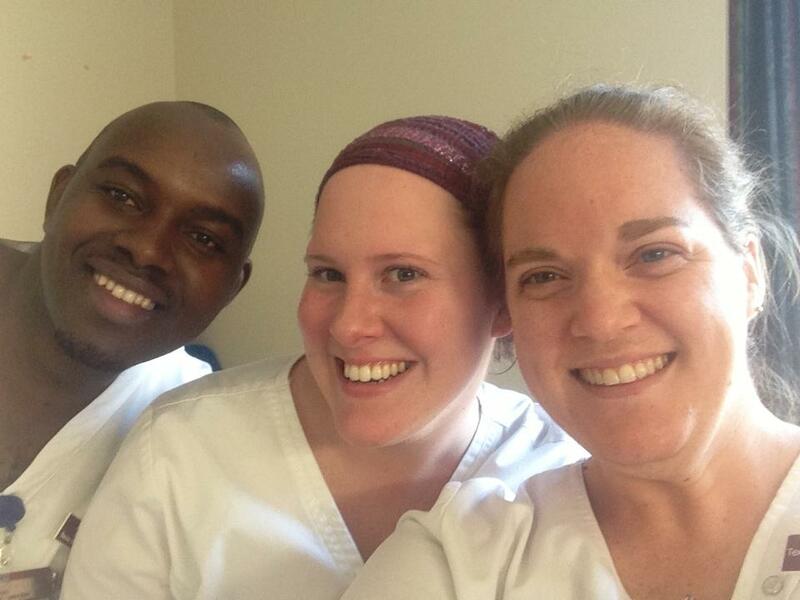 Whenever the nurses and I have time we will sit down and talk about nursing and I am learning a lot just from the conversations I have with them. I’m thankful that they are willing to give me the time of day during their busy shifts (the nurses on my unit stay extremely busy!) and encourage me in this field that I’m stepping into. Also, I love the fact that with this job I am much more confident with patient care and communication. I remember back to my first clinical last semester and remember how nervous and fumbling I was all day, and I know that if I’d had this job before I ever started nursing school I would NOT have felt that way about being in a patient’s room and caring for that patient! I am working a mixture of night shifts and day shifts…and I would have to say that between the two I feel like I am enjoying day shift better. I didn’t think that would be the case, as I am a night person and I figured I would enjoy the slower environment of night shift more. However I think night shift is actually TOO slow for me…and I really hate having to wake the patients up every few hours just to take vital signs or weigh them and what-not. I prefer the day shift where the unit is much busier, everyone is awake, and I literally don’t sit down until I’m in the car driving home for the day! Maybe as a nurse I will feel differently. Some of the interesting things I’ve seen/done while working as a tech on the surgical telemetry floor: I got to watch a doctor remove a chest drain, I empty JP drains, I clean chest incisions, I have seen pretty bad pressure ulcers (not through the fault of the nurses on my unit! ), I’ve learned how to apply EKG leads on a patient and re-position them if they’re not working properly, I’ve seen open, oozing cancerous masses on a patient, I watched a patient end up hypoglycemic and helped the nurses bring his blood sugar back up (in a near-emergency state), and I’m sure there’s more but that’s all I’m remembering right now. And, of course, I watch the telemetry monitors often and try to diagnose different rhythms. A few times I’ve asked the nurses to confirm what I was thinking and I was right! Although I must say, diagnosing a moving rhythm is so much harder than looking at a 6 second strip! And in other news, I have finished my summer EKG elective! It was a fascinating class and I’m SO glad I had the opportunity to take it. It really supporting my theory that I’m a heart lover and I think I really want to work on a cardiac floor or in cardiac intensive care when I’ve graduated. In the elective, we learned how to read basic EKG rhythms but I’ve realized that I want to know even more!! When I have the time (which probably won’t be this semester) I am going to try and delve deeper into learning about the heart and more advanced EKG rhythms. Love it! I’ve bought all my books and all my supplies for the J2 semester, and yesterday I got on blackboard and read through the “welcome letter” for both Adult 1 and Women’s Health. And I felt the stress immediately tighten up my neck and give me a headache; there are already SO many chapters that I need to read before the first day of classes and so much to check off the list before the semester begins! 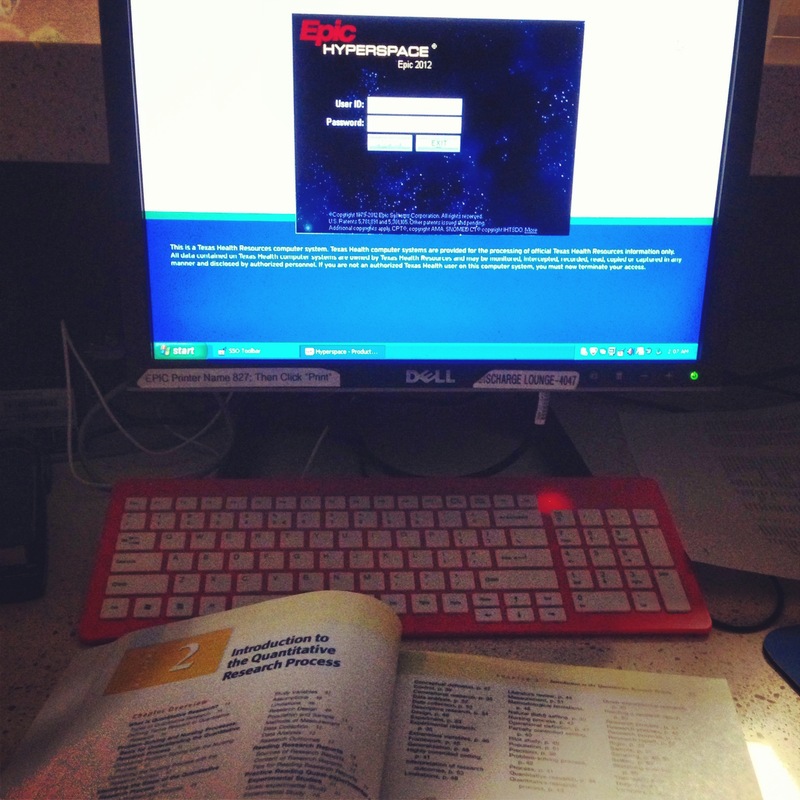 We have a lot of clinical paperwork and hospital modules to complete, as well as watching through skills videos before the skills labs so that we are already familiar with what we’ll be learning through the first 2 weeks of class. Tuesday August 27th: Meeting with Women’s Health clinical groups and faculty to be introduced to course expectations, take care of any necessary paperwork for the hospitals, and become familiar with clinical expectations and paperwork. This is basically clinical orientation – and we have to have our clinical paperwork already done and filled about before this class day. This will be an all day event, from 0800-1600. Wednesday August 28th: For Adult 1 (from 0800-1200) we will have our first lecture. For Women’s Health (1300-1600), we will be going through labor support skills lab and clinical preparation. In between those two classes (during the lunch break) I will be helping out with an SGA event. Thursday August 29th: From 0800-1600 we’re in a clinical skills lab to review old skills (those we learned last semester) and new skills for Adult 1. Friday August 30th: We’ll be going to our hospital for hospital orientation (tentatively). Tuesday, September 3rd: For Women’s Health, we are in a skills lab again all day from 0800-1600. We will be completing a foley catheter check-off, and practicing IVs, breastfeeding, immediate care of the newborn, and a postpartum assessment. Friday September 6th: For Adult 1, from 0800-1600 we will have clinical skills lab and our medical dosage calculations exam. This is all on top of having Adult 1 lecture on Wednesday mornings, Women’s Health lecture Wednesday afternoons, and my 3 online classes (Group Processes, Research, and Aging!) which will all have their own set of homework and activities to be completed. It’s going to be a busy semester, that’s for sure, with the first few weeks being the hardest! It’s just hard to believe that my summer is already at an end and I have to buckle up and continue with this crazy whirlwind called nursing school! Supplemental books for the semester! 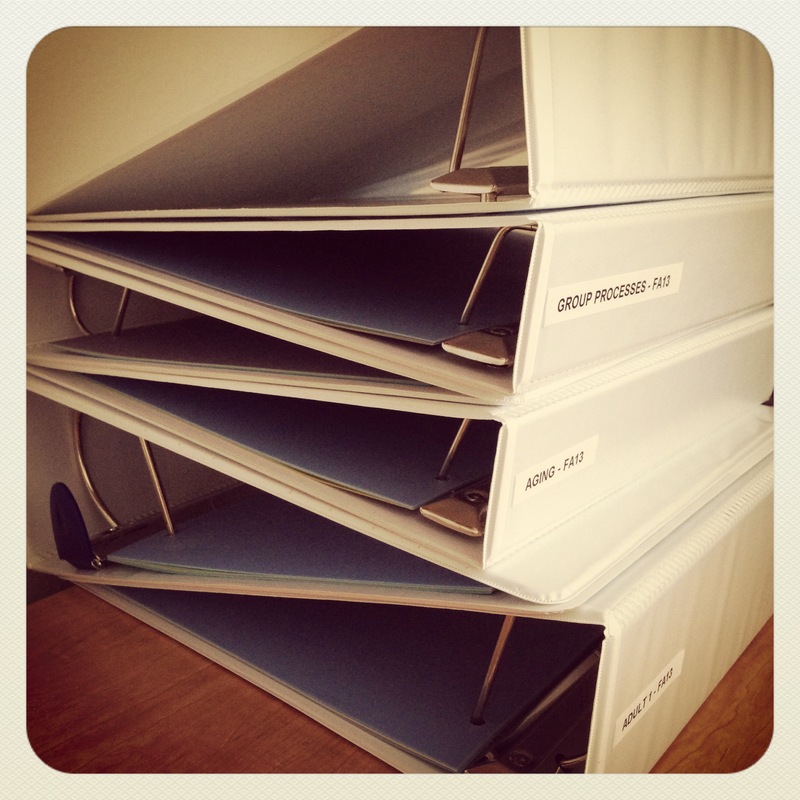 My EMPTY binders for the semester…they won’t remain that way for long!